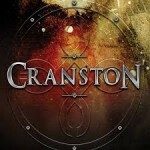 Share the post "Album review: CRANSTON – II"
Cranston is vocalist Phil Vincent (the man who never seems to be out of a recording studio! ), melodic rock legend Paul Sabu and B.F. D’Ercole (whose own self-titled band Phil Vincent sings for – told you he was a busy man). With Cranston Phil Vincent takes lead vocals, plus leaves the guitars, bass, keys and production to Paul Sabu, who also adds backing vocals to make the choruses bigger in sound. Both Vincent and Sabu co-wrote all the songs on here, which range from the hard rocking ‘Always On The Run’, a song that nicks a cheeky AC/DC riff, through to the acoustic pop rock of ‘Wish I Had More Time’. The latter draws nicely on Vincent’s love of the Beatles. Paul Sabu’s influence can be heard on the guitar crunch on ‘Take Me’, along with his nifty acoustic guitar on the aforementioned ‘Wish I Had More Time’. Those after some meat ‘n’ potatoes hard rock look no further than ‘One Track Mind’ or ‘Throwin’ Down’ – that one sounds like it comes off an 80’s metal soundtrack album. This entry was posted in ALBUM REVIEWS, ALBUM REVIEWS (Mobile), All Posts and tagged album, Cranston, D'Ercole, hard rock, II, melodic rock, Paul Sabu, Phil Vincent, pop rock, review, rock. Bookmark the permalink.